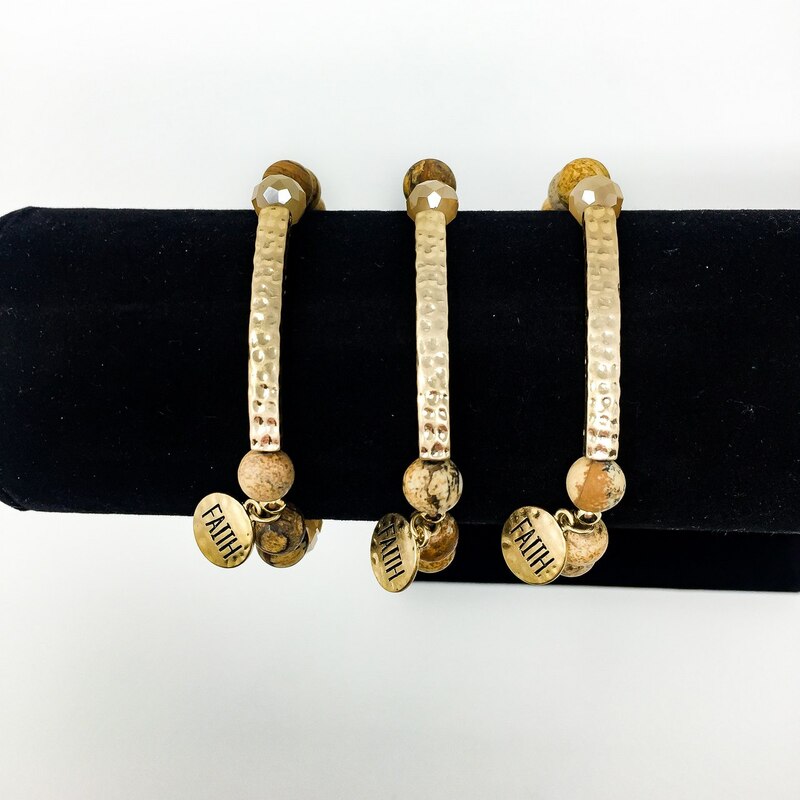 These gorgeous stacking bangle bracelets shimmer with a hammered gold bar and gold charm enscribed “FAITH”, leopard jasper beads, iridescent peach crystals, and gold accent beads. 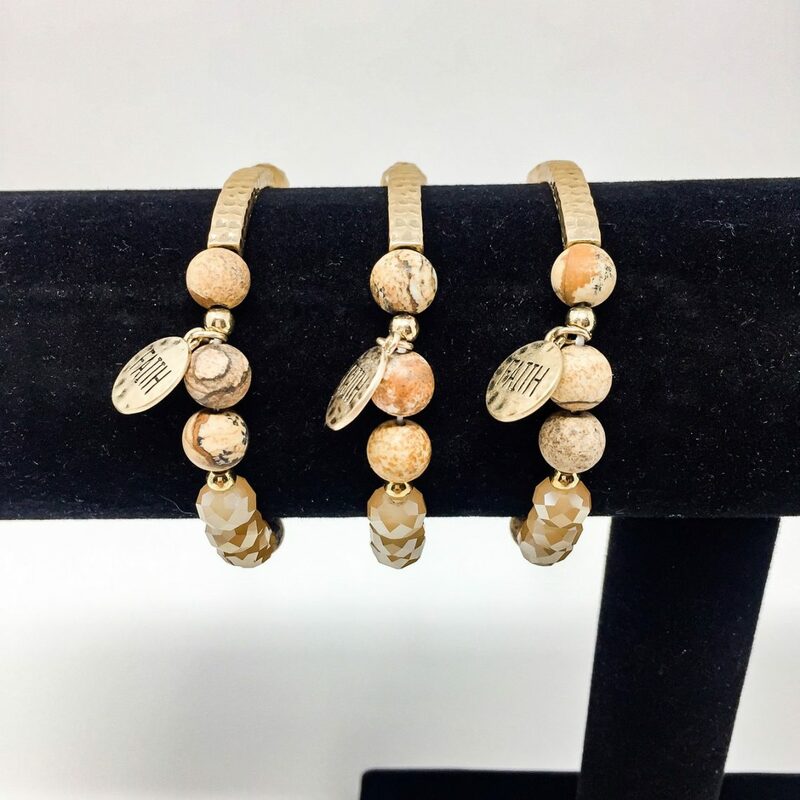 This gorgeous stacking bangle bracelet shimmers iridescent peach crystals, leopard jasper stone beads, painted gold accent beads, and a hammered gold plated bar with a gold plated charm inscribed “FAITH”. 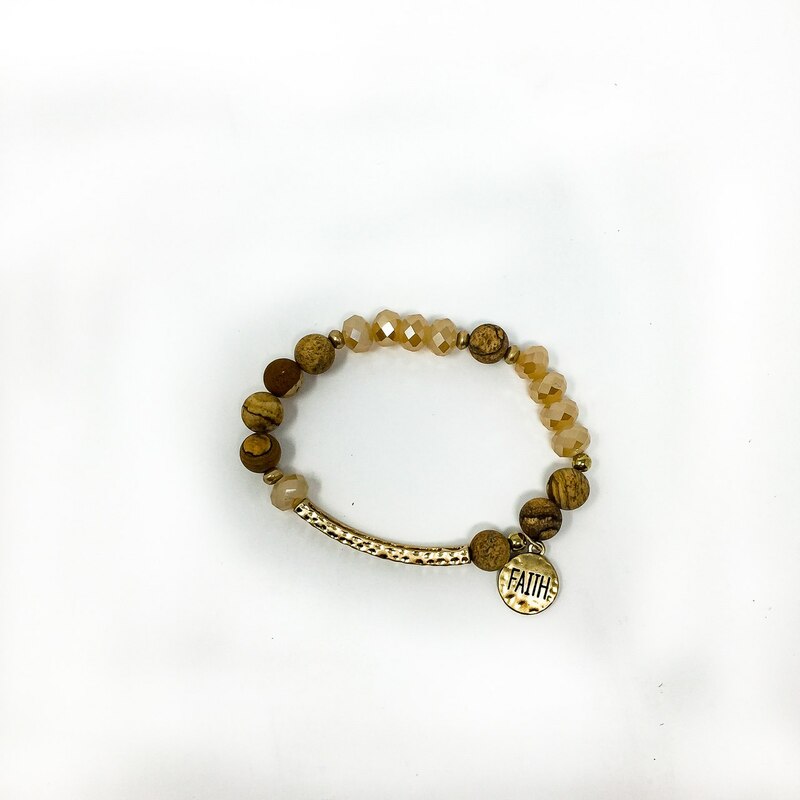 Designed to be stacked with similar bracelets for a more gorgeous look. Great to give as gifts!